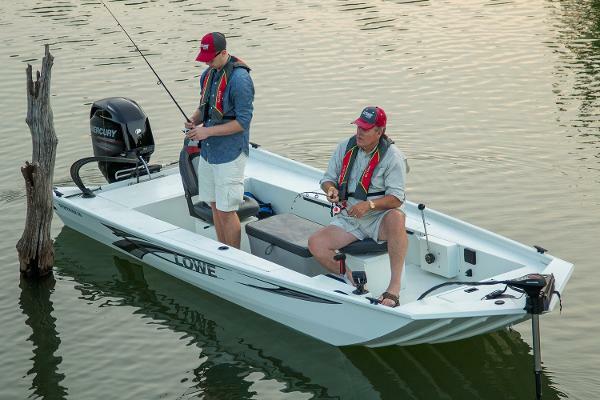 2017 Lowe Stryker 16 Get ahead of the pack and find those tough-to-catch fish with the Lowe Stryker 16. Fully equipped with multi-species fishing capability, the Stryker 16 is primed and ready to strike at just the right time. Enjoy an array of amenities including dual aerated livewells, under seat storage, and port rod holders, all standard on the Stryker 16, at a very appealing price. 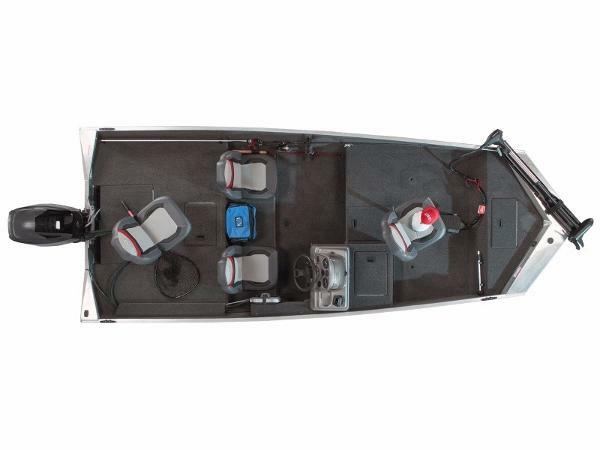 Complete with loads of fish-fighting room and ample gear storage, plus premium standard components, the Stryker 16 is an all-welded winner. 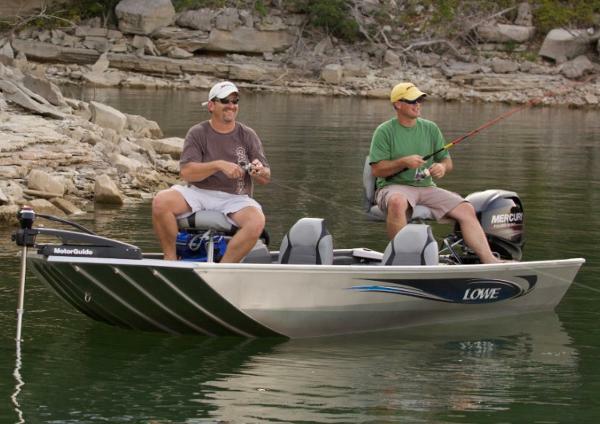 Experience for yourself the proven quality and unsurpassed value of a Lowe multi-species fishing machine. Please note: This boat model may or may not be in-stock. A Nationally Advertised Price, if listed, may change without notice or include accessories not fully described herein. Please contact your local, authorized dealer for exact details on model availability and package pricing. 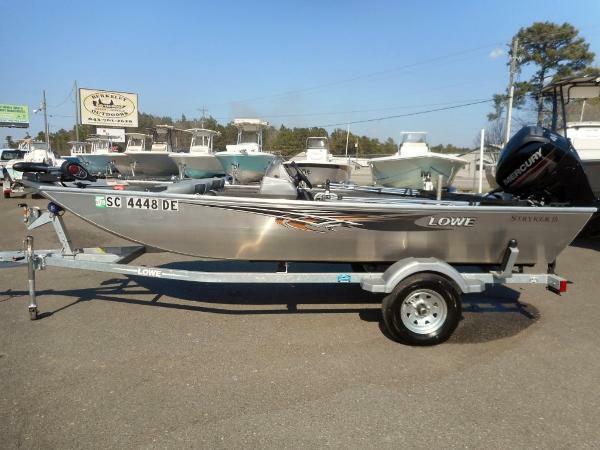 2014 Lowe Stryker 16 Lowe Stryker 16 with 20 EL Fourstroke and trailer. This boat model may or may not be in-stock. 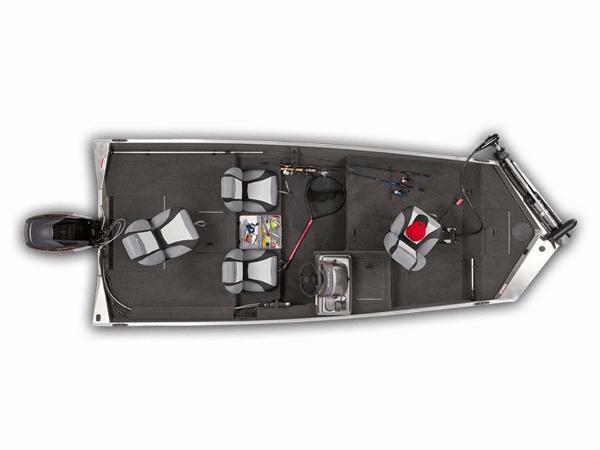 Please contact your local, authorized dealer for more information For your fishing passion, the Stryker 16 delivers incredible multi-species angling capability for an unbeatable value. This fish-ready package includes an array of amenities at a very appealing price. 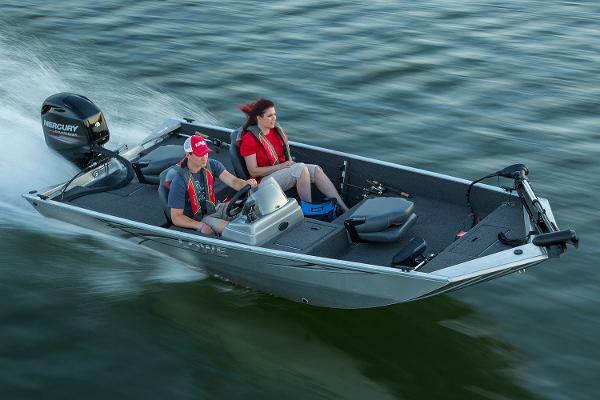 Premium standard components include driver/passenger seating with storage underneath, a MotorGuide® trolling motor, a Lowrance fish finder, two 13-gallon aerated livewells, loads of storage, a power-matched Mercury® outboard engine, and a portable gas tank with storage. For the angler who’s serious about fishing and sticking to a budget, the Stryker 16 is an unbeatable choice.All-welded construction16 oz. 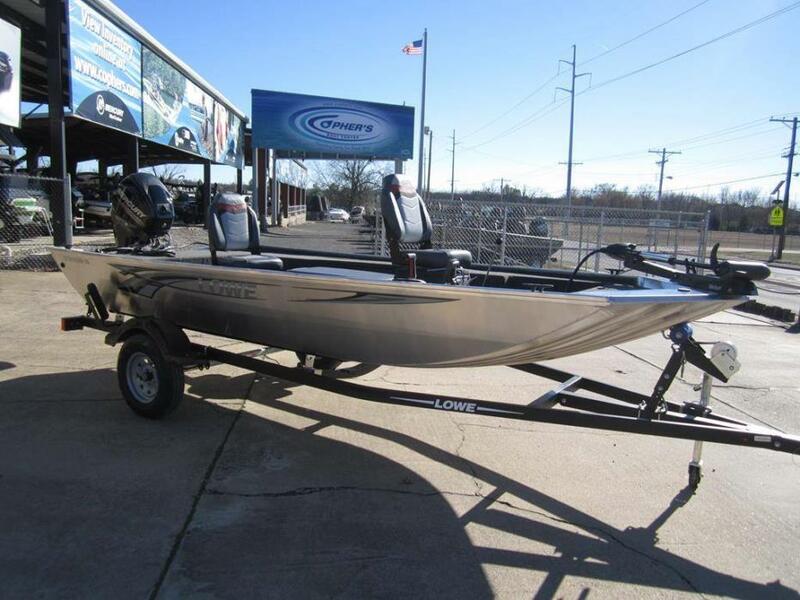 charcoal marine carpetAcrylic console w/ tinted windshield & soft grip wheelSwitch panel w/ 12V receptacleNavigation lightsMotorGuide® 46# thrust 12V trolling motorLowrance® X-4 Pro fish finderDriver/passenger seating with large under-seat storage2 fold-down pedestal fishing seats & 4 pedestal seat basesBow fishing deck w/ aerated livewell (13 gal.) and baitwellStern fishing deck w/ aerated livewell (13 gal.) 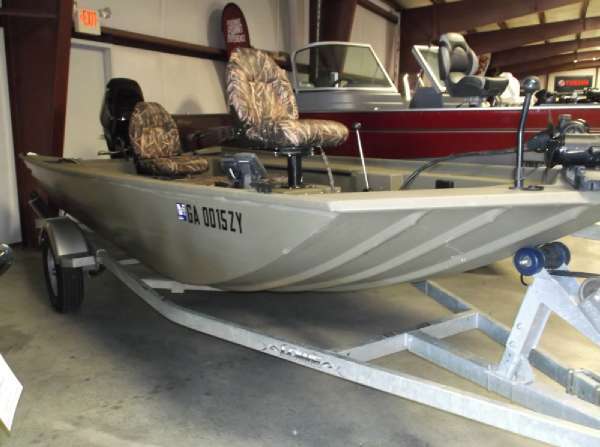 and baitwellPort rod holders w/ organizer for 4 rodsAvailable painted or galvanized bunk trailer Lowe factory packaged boats are available with various horsepower Mercury® outboards. Standard equipment and options may vary from model to model.